The AblePlanet SI550A sound isolation earphones provide a very enjoyable listening experience. With a price tag of 79.99 we rate this a good buy. If you ever talk on the phone with earphones on and use an Iphone you will like the audio quality the the other person will be able to hear you very clearly. 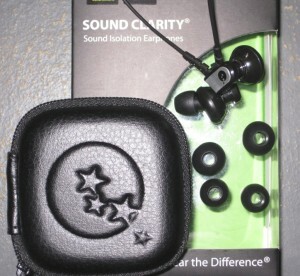 The SI550A earphones have been awarded our Staff pick of the month for May 2012. It scored a 4 Star mark. When I first pulled these earphones out of the box I thought they looked a little big and bulky and was concerned that there was no way they would stay in place when I went running with them on. The earphones came with 3 eartip sizes. In a lot of other brands you get 4 sizes. This was a little bit of a let down as the smallest size fit very well in my ears but when I loose the eartip (And I Will) the next size up was too big and would not work for me. I could also not find any replacements or price on the ableplanet website for the eartip's. I would imagine it's there but have not been able to locate them. I first went running on a treadmill with these in a gym. Loud noises all around so I turned the volume up to a level I normally listen to in the gym. The speech from the audio book came in very very clear and crisp and I found I was able to turn the volume down a lot and still understand every word just fine. If you listen to earphones a lot or plan on it then you may really want to consider making a purchase of these as it could potentially help avoid hearing loss in the future as you can listen to songs and the like at a lower sound volume. The earphones stayed in place almost the entire time. Most so then the Skull Candy earphones I normally wear while running. I have a small head and these headphones did seem to be sticking out further then most other earphones I use. I do count this as a negative. While traveling in a vehicle and plane for a long time period the earphones suited me very well. Nice little carrying case, very easy to untangle un-like most other headphones, were very comfortable over a long period of time. The headphones grew on me the more I wore them. For an 80 dollar price tag I felt there was real value to the earphones. How does the AblePlanet SI550A Compare to Other Leading Brands? AblePlantet has another great product on it's hands. 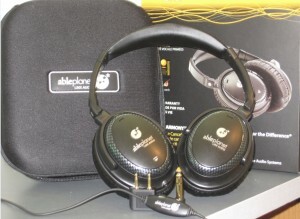 I am a fan Skull Candy 50/50 w/mic headphones and would rate the audio of the AblePlanet SI550A as higher quality. I could tell a difference and the difference to me was worth the 30 dollar separation in price. For a cost of $80 you are getting what you pay for. Compared to a cheaper 30 or 40 dollar earphone the AblePlanet SI550A will beat it hands down. The in-line mic worked extremely well even in a location with some wind. Everyone I talked to said I came in loud and clear and they could not tell I was on a Mic at all. As mentioned the earphones themselves seem a little big to me. Still very comfortable to wear but you can't lay down on your side and listen to these. At least I could not. The cord on these earphones seems durable and ones that could last me a while. With most headphones I wear out the cord in a matter of months. Next thing you know it breaks off or wires start poking out of the cord. For all those people like me who constantly end up with earphones in major not, the AblePlanet SI550A seem to not tangle nearly as much and when the do it takes only a second to untangle. Very good for those who will be just jamming the earphones into their pocket or the case. There is a general limited lifetime warranty. Seems the standard warranty of any earphone on the market. High marks for noise cancelling. Would be nice to have the device auto turn off. I always forget to do it. 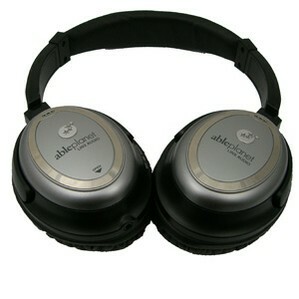 The AblePlanet NC1050 noise canceling headphones provide a very solid noise cancelling experience. The crisp and clear sound coming out of these babies will provide hours of enjoyment for years to come. We rate this product a Strong Buy and award it the Editor Choice Award for the month of May 2012. It scored a 5 Star mark. It's been a while since I have personally tested out such a high quality noise cancelling headphone that was actually very comfortable. The first time I put them on was when my son had several friends over playing. I needed to jam out some paper work and could not work with all the running around. I placed the AblePlanet NC1050 over my ears and turned them on. It was truly amazing to go from a chaotic seen to being at a Dave Mathews Concert. The comfort level of these headphones I can not stress enough. I have sensitive ears and for me they felt better then any Boise I've worn. 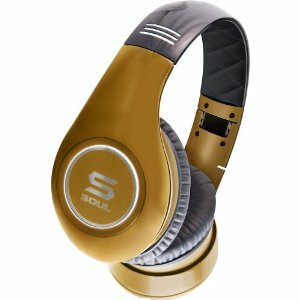 How does the Noise Canceling Compare to Other Leading Brands? 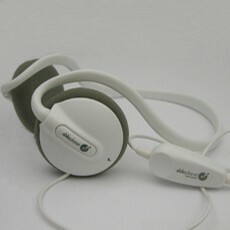 AblePlantet has produced a very high quality noise cancelling device. I would put this product on par with the Bose QuitComfort series of headphones. I could not rate it above or below. To put it simply I fully enjoyed my listening experience and was able to drown out the out side world to a very satisfactory level. The headphones also work when not turned on, which can be a big plus for those who do not need the noise cancelling feature on. For a cost of $349 I expect my headphones to be very durable and last me for years. The NC1050 seems to meet this criteria. They appear very well engendered and a few drops hear and there should not cause any major damage. The right side of the headphones is where you will have the 2 AAA batteries. They are ease to change out with out any special tools needed. The bay door slides out and secures back in place with ease. Batteries are included with this device. 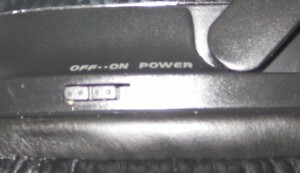 The on and off button are also located on the right side. Basic slide up for on and down to place back into the off feature. As mentioned before the NC1050 works in both on and off mode for music listening. The cord connecting the headphones to the listing device is detachable and around 5 1/2 feet in length. I have always preferred detached cords as I tend to forget I'm wearing headphones and when I walk away I don't suffer any neck injury. Believe me, you will forget these are on your head and will make the same mistake. On the cord is a volume button. It's a smooth oval shaped volume cord. In my mind it could of been smaller and I prefer it so. It's a matter of opinion and if you have large hands (Mine are small) you may appreciate the size. The noise canceling works very well as already mentioned. I was able to drown out more of the background noise on the NC1050 then many other lower cost noise canceling headphones. The sound was also very clear. The highs, lows and bass were impressive and not distorted. 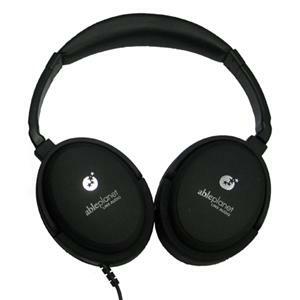 On lesser quality noise canceling headphones you will notice distortion and muffles, not on the AblePlanet NC1050. I have yet to use up the battery life on the device and have enjoyed several hours of use. I have not been able to determine the exact life of the battery and could not find documentation to support how long they will last. I watch a war movie with these headphones on and got a big grin at the bass and sound quality levels from this device. It did add a lot to my listening experience. There is a general limited lifetime warranty. If the product malfunctions with out the help of a power surge or the owner causing damage through improper use, they will replace or repair the device at their discretion. This is a very industry standard warranty. Nothing too special about it as just about everyone offers it. Still it's always nice to have one for free. It may be that they are a bit expensive for the people and the audio experience is quite sensitive. The NC300s are noted as being the cheaper of the options, and more sensitive, as well as more convenient thanks to inline volume control. At the same time, music may actually be hard to hear unless noise cancellation is on, draining the battery. Price for an Able Planet NC 300 product is $149.99. The NC300 are over-the-ear headphones with an adjustable and padded headband that uses powered noise-cancellation technology that runs on a single AA battery that inserts into one of the ear pieces. While we could give a completely ’standalone’ review, audio being such a subjective topic, we decided instead to (in many categories of testing) compare it to our favorite noise-canceling headphones, the Audio Technica Quiet Point ATH-ANC7. An assessment of how loud headphones will play for a given audio input signal level. This is an important consideration if the headphones will be used with audio devices that have relatively low maximum audio output signal levels like some battery powered portables. Some models have 2 sensitivity levels given: one with the highest selectable setting or noise-reduction switch ON and the other with the lowest selectable setting or noise-reduction switch off. The headphones fit comfortably, encircling your entire ear. The soft ear cups don’t provide a tight seal against outside sounds, but they do keep your ear completely covered. The cord is a generous seven feet long, and we prefer the single cord over most headphones’ split-cord designs. The volume control wheel on the cord gives you greater control over your music’s volume without needing to dig out your audio device. But there’s no microphone or other iPhone-compatible buttons–these are just for listening, not for talking on the phone or controlling your iPhone’s playback from the headphones themselves. Hip-hop and reggae suffered the most, but all in all, we were pleased with the sound. Quality does start to suffer when the AAA battery begins to wear out, so keep a spare handy for long trips. Check Out the the Amazon Website Here. These are small, light and affordable. The highs are crispy and clear, and the overall presence is great for their size, especially in the mid and upper-ranges. One cord from the left side has a built-in volume slider. The middle to lower frequencies are crunchy, and the bottom end’s presence doesn’t measure up to the high’s loudness. After a while, the headphones can get very uncomfortable behind the ears. Like any audio speaker or headphone, these are best heard with an amp, though not completely necessary. These are middle-of-the-road consumer headphones that will get you to hear intelligible audio, but that’s about it. My first impression was how bright these phones carried music and speech. Vocal frequencies cut through the upper-mids, and brighter instruments (high-hats, cymbals, upper extension of vocal harmonics, etc.) have incredible presence. The audio becomes a little crunchy below the midrange. It sounds squeezed, like it was heavily compressed and pushed to its highest level before distorting. The result is a lack of dynamics in mid and lower instruments like keys, bass and low speech/vocals. I cross-checked this crunchiness against several genres and production styles and the phones performed consistently. Lower-end frequencies do not translate well in these phones, but judging from their size and shape, you probably wouldn’t expect them to. You can hear the lower instruments’ upper harmonics, and a very low rumble, bordering distortion, where the body of the music’s lower spectrum should fall. These are ideal for running or when you’re in the gym. They are flexible, light and clamp to your ears. Actually, they clamp a little too hard. After a half-hour the frame dug behind my ears, resulting in a bigger headache than headphones should give. This may go away after they’re broken in, but the digging looks like a function of their shape and design, not the strength of material. One very thin cord comes out of the left side and has a fader about a foot down. Though small and light, the fader box doesn’t have a clip to fasten to your clothes. It’s a great feature with bad placement, unless you don’t mind a little box bobbing into your ribs. If you’re a fan of listening to heavier music while working out, these are the phones for you. If you’re settling in for a night of lining up Dark Side with the Wizard of Oz, I would suggest looking at some of Ableplanet’s higher-end gear. The noise reduction works extremely well. The single cable has a built-in volume slider. They are light, modest and sit very comfortably on your head. Also come with a great package, including adapters and a hard-shell case. At high volumes, music becomes a muddy cacophony. The noise-canceling world is tough to measure up to, but Able Planet has made an awesome product that serves an honest alternative to the Bose systems. The noise-canceling world is tough to measure up to, but Ableplanet has made an awesome product that serves an honest alternative to the Bose systems. It’s impossible to make a second first impression. Able Planet made a great first impression by packaging their noise-canceling phones with some handy extras. They included two adapters: a regular1/4” and one that converts a regular 1/8” jack into to two 1/8” mono jacks (for airplanes). These adapters and the main audio cable have their own mesh compartment next to the headphones in a semi-hard shelled case. The only thing missing from the case is a place to grab and hold it. The most dominant feature of these phones is the noise-canceling feature. With no cord plugged in, you can just sit back, flip the small switch below the right ear’s casing and ambient background noise is replaced with gentle white noise. However, when the cord is plugged into a device, there seems to be a low frequency grounding problem. It becomes completely unnoticeable once music or audio starts playing, so it’s not interfering with the audio cleanliness. So how do they stack up against, let’s say, Bose’s noise-canceling phones? My comparative Bose model was the QC-1 (now replaced). Hands down, Ableplanet wins by design. The Bose have an in-line external box for the batteries and noise-canceling electronics. The box has a selector for lo or hi signal level against the noise cancellation. 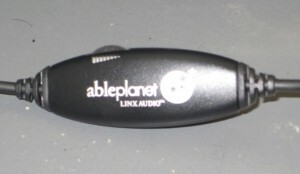 Ableplanet has a single cord from the left phone with a small volume slider that ultimately serves the same function. 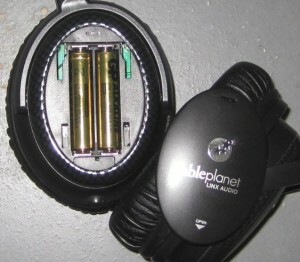 The Able Planet’s cord unplugs from the phones, so you have the option to get the noise-cancellation without anything else. They also clamp to your head a little harder which provided better sound isolation. The dynamics of these phones are best enjoyed when kept at reasonable levels. Anything “loud” seems to bury certain timbres, especially vocal lines. When the noise-canceling feature is enabled, the audio signal’s upper end is boosted by a few decibels starting around what sound like 3 KHz. This helps drown out the background noise even more, but also delivers brighter audio and enhances general presence. Overall tone of these phones is incredible. The lower end’s instruments translate well in the mix, especially kick drums, which cuts through neat and tight. When kept at a modest level, the mix also has plenty of room to breathe, so you can enjoy those deep-in-the-mix tracks. They’re perfect for listening to heavy low ends with hot transients, so bump Tower of Power and Stevie Wonder with complete confidence.